Seattle is known for museums, parks, zoos & aquariums, nightlife, and shopping. 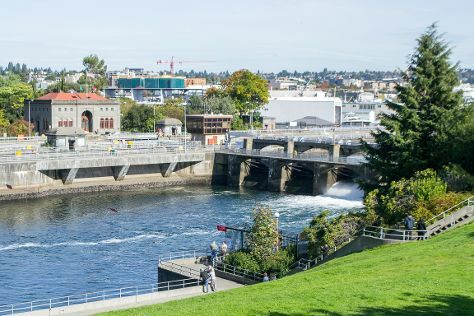 Your plan includes some of its best attractions: explore the world behind art at Chihuly Garden and Glass, stroll through Alki Beach, wander the streets of Pioneer Square, and take in the waterfront at Hiram M. Chittenden Locks. Kozhikode, India to Seattle is an approximately 27-hour flight. Due to the time zone difference, you'll gain 13 hours traveling from Kozhikode to Seattle. Traveling from Kozhikode in November, expect Seattle to be colder, temps between 13°C and 6°C. Wrap up your sightseeing on the 9th (Fri) to allow time to travel to San Francisco. San Francisco is known for nature, museums, parks, nightlife, and shopping. Your plan includes some of its best attractions: take in the views from Golden Gate Bridge, wander the streets of SoMa, take in the waterfront at Fisherman's Wharf, and learn the secrets of beer at a beer tour and tasting. To see maps, ratings, more things to do, and other tourist information, read San Francisco trip planning site . Do a combination of flight and subway from Seattle to San Francisco in 4 hours. Alternatively, you can fly; or drive. In November, San Francisco is somewhat warmer than Seattle - with highs of 20°C and lows of 12°C. Finish your sightseeing early on the 13th (Tue) to allow enough time to drive to Yosemite National Park. Spend the 17th (Sat) exploring nature at Elizabeth Lake, Yosemite National Park. 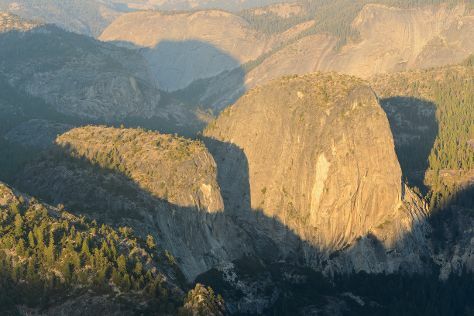 The adventure continues: take in the dramatic natural features at Glacier Point, hike along Tuolumne Meadows, make a trip to Yosemite Village, and get great views at Tunnel View. To find maps, where to stay, reviews, and more tourist information, go to the Yosemite National Park journey maker site . Traveling by car from San Francisco to Yosemite National Park takes 4 hours. Alternatively, you can take a bus; or do a combination of subway, flight, bus, and taxi. Traveling from San Francisco in November, you will find days in Yosemite National Park are little chillier (14°C), and nights are colder (-8°C). Finish your sightseeing early on the 18th (Sun) to allow enough time to travel to Los Angeles. You'll find plenty of places to visit near Los Angeles: Anaheim (Disneyland Park & Disney California Adventure Park). Pack the 21st (Wed) with family-friendly diversions at Universal Studios Hollywood. Next up on the itinerary: examine the collection at The Getty Center, put a fun spin on your tour with Fantastic Race, and admire the majestic nature at Topanga State Park. To find ratings, traveler tips, and more tourist information, refer to the Los Angeles trip builder website . You can do a combination of car and flight from Yosemite National Park to Los Angeles in 4.5 hours. Other options are to drive; or do a combination of taxi, bus, and flight. Plan for much warmer temperatures traveling from Yosemite National Park in November, with highs in Los Angeles at 28°C and lows at 15°C. Wrap up your sightseeing on the 22nd (Thu) to allow time to travel to Las Vegas. Step out of Las Vegas to go to Boulder City and see Hoover Dam, which is approximately 50 minutes away. And it doesn't end there: ponder the design of Bellagio Fountains, try to win big at Casino at the Venetian, take in panoramic vistas at Eiffel Tower Experience at Paris Las Vegas, and push the limits with an extreme tour. To see where to stay, traveler tips, other places to visit, and more tourist information, you can read our Las Vegas trip planner . Fly from Los Angeles to Las Vegas in 4 hours. Alternatively, you can fly; or drive. In November, Las Vegas is slightly colder than Los Angeles - with highs of 23°C and lows of 9°C. Finish your sightseeing early on the 26th (Mon) so you can travel to Grand Canyon National Park. On the 28th (Wed), hike the day away at Bright Angel Trail. Spend the 30th (Fri) exploring nature at Grand Canyon National Park. The adventure continues: explore the stunning scenery at Grand Canyon South Rim, take some stellar pictures from Yaki Point, trek along Rim Trail, and get outside with Shoshone Point. For reviews, other places to visit, maps, and tourist information, go to the Grand Canyon National Park travel planning tool . Traveling by combination of car and flight from Las Vegas to Grand Canyon National Park takes 4.5 hours. Alternatively, you can drive; or take a shuttle. You'll lose 1 hour traveling from Las Vegas to Grand Canyon National Park due to the time zone difference. Traveling from Las Vegas in November, you will find days in Grand Canyon National Park are slightly colder (14°C), and nights are much colder (-6°C). Wrap up your sightseeing on the 2nd (Sun) early enough to travel to Yellowstone National Park. On the 5th (Wed), dedicate a day to the elevated beauty of Mount Washburn. 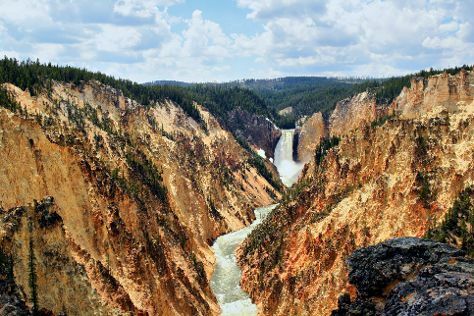 Spend the 4th (Tue) exploring nature at Yellowstone National Park. There's lots more to do: explore the stunning scenery at Grand Canyon of the Yellowstone, contemplate the waterfront views at Yellowstone Lake, witness a stunning natural landmark at Upper Geyser Basin, and take some stellar pictures from Lookout Point. To find maps, more things to do, ratings, and tourist information, read Yellowstone National Park day trip tool . Traveling by combination of bus, flight, and car from Grand Canyon National Park to Yellowstone National Park takes 10.5 hours. Alternatively, you can do a combination of bus, flight, and taxi; or take a bus. Traveling from Grand Canyon National Park in December, you will find days in Yellowstone National Park are colder (-5°C), and nights are slightly colder (-19°C). Cap off your sightseeing on the 6th (Thu) early enough to travel to Chicago. When in Chicago, make a side trip to see Bengtson's Pumpkin Farm in Homer Glen, approximately 42 minutes away. There's lots more to do: explore the world behind art at The Art Institute of Chicago, admire the landmark architecture of Skydeck Chicago - Willis Tower, get your game on at Bad Axe Throwing, and admire nature's wide array of creatures at Shedd Aquarium. To see ratings, more things to do, maps, and other tourist information, go to the Chicago trip itinerary maker . Traveling by combination of car and flight from Yellowstone National Park to Chicago takes 7 hours. Alternatively, you can do a combination of bus, shuttle, and flight; or drive. You'll lose 1 hour traveling from Yellowstone National Park to Chicago due to the time zone difference. When traveling from Yellowstone National Park in December, plan for somewhat warmer days in Chicago, with highs around 3°C, while nights are much warmer with lows around -3°C. Wrap up your sightseeing on the 10th (Mon) early enough to travel to Washington DC. Washington DC is known for museums, historic sites, nightlife, zoos & aquariums, and fun & games. 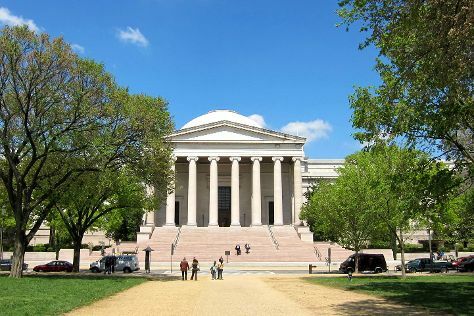 Your plan includes some of its best attractions: explore the world behind art at National Gallery of Art, take in the architecture and atmosphere at Washington National Cathedral, get a new perspective on nature at Smithsonian National Museum of Natural History, and appreciate the history behind Vietnam Veterans Memorial. To see traveler tips, where to stay, photos, and other tourist information, read Washington DC trip app . Getting from Chicago to Washington DC by flight takes about 4 hours. Other options: do a combination of flight and train; or drive. The time zone difference moving from Central Standard Time to Eastern Standard Time is 1 hour. Traveling from Chicago in December, expect Washington DC to be a bit warmer, temps between 12°C and 3°C. Finish your sightseeing early on the 14th (Fri) to allow enough time to travel to New York City. New York City is known for museums, nightlife, shopping, historic sites, and parks. Your plan includes some of its best attractions: explore and take pictures at Central Park, pause for some photo ops at 9/11 Memorial, make a trip to Statue of Liberty National Monument, and explore the world behind art at The Metropolitan Museum of Art. For traveler tips, more things to do, other places to visit, and other tourist information, use the New York City route planning app . You can fly from Washington DC to New York City in 3.5 hours. Alternatively, you can do a combination of flight and bus; or drive. In December in New York City, expect temperatures between 10°C during the day and 2°C at night. Finish your sightseeing early on the 23rd (Sun) so you can travel back home.